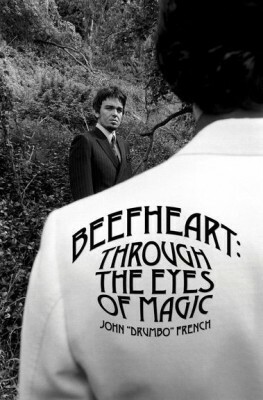 Due to be published on 11 January 2010 here is the first review of John’s book Beefheart: Through the Eyes of Magic. No secrets are given away in this review so feel free to read it without it spoiling your enjoyment of the book. Thanks for the review – for me, the book is a must-have…. "…it is not a biography of Don Vliet or a history of the Magic Band…"
Is the clue in the title? I can't wait and Beefheart.com is the right place to learn about it. Thanks John for writing the book and thanks Steve for turning us on to it. At £12.97 from Amazon, it's less than the price of a night out! No excuse for not buying this one. You're welcome, Vinnie, and thanks, Steve, for the nice review.